Mighty Fine "I Voted For…"
If the party in-fighting, slanderous commercials, and false promises start to get on your nerves, pick this up for a laugh. Let everyone know where your loyalties really lie. 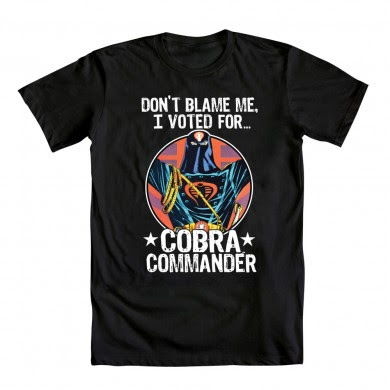 Cobra la-la-la-la-la!